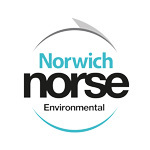 Norwich Norse Environmental are currently recruiting for a Supervisor/Cleaning Operative to work on a permanent part time basis at City Hall, Norwich. Reporting to the Cleaning and Technical Operations Manager, you will be responsible for carrying out cleaning and supervisory duties, ensuring that high levels of cleaning standards are achieved. Areas of cleaning include offices, toilets and kitchen areas. You will be contracted to work 12.5 hours per week, Monday to Friday 06:30 – 09:00. Our ideal candidate will have experience in a similar supervisory role along with previous cleaning experience. You will be liaising with the client on-site so it is essential you have excellent communication skills.